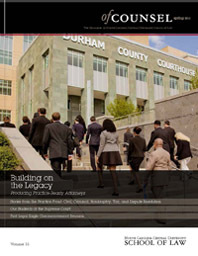 The NCCU School of Law Development Office produces two publications yearly, the Of Counsel magazine and the Dean’s Newsletter. 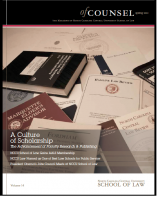 Occasionally, the Law School prints a special publication, such as the So Far Magazine, printed in 1999 and 2009 as part of the Law School’s Anniversary. 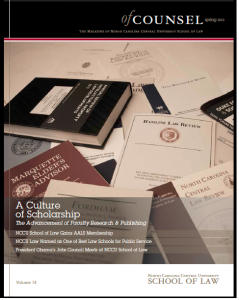 The Law School welcomes input from alumni and friends regarding our publications.